Fluke combined the DMM you trust with the loop calibrator you need. The Fluke 787 ProcessMeter™ puts a complete troubleshooting solution in the palm of your hand. Get in touch with more information, faster and easier with the newest member of the Fluke 80 Series, the 787 ProcessMeter. The 787 gives you the measurement capabilities you expect from our rugged, reliable DMMs plus the ability to source, simulate, or measure dc current with 1 microamp resolution and accuracy of 0.05%. Put it all together and you have the ideal tool for troubleshooting and calibrating current loop applications. So if you’re tired of always tracking down a calibrator, lugging around two tools and switching back and forth, get the single best solution for doubling your power. The 787 ProcessMeter from Fluke. Here’s the power the 787 ProcessMeter™ puts into your hands. 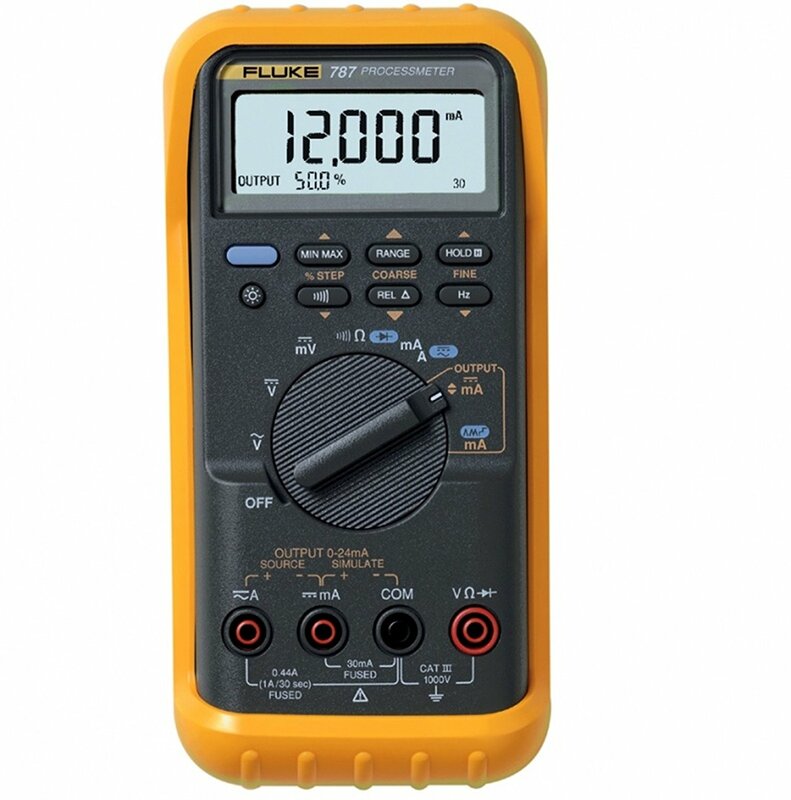 Precision 1000V, 440mA digital multimeter measure a.c. and d.c. volts, a.c. and d.c. current, resistance, continuity and frequency.